Luke Davenport has confirmed he is on the road to recovery after speaking to Tin Top Tuesday from his hospital bed yesterday (27 June). 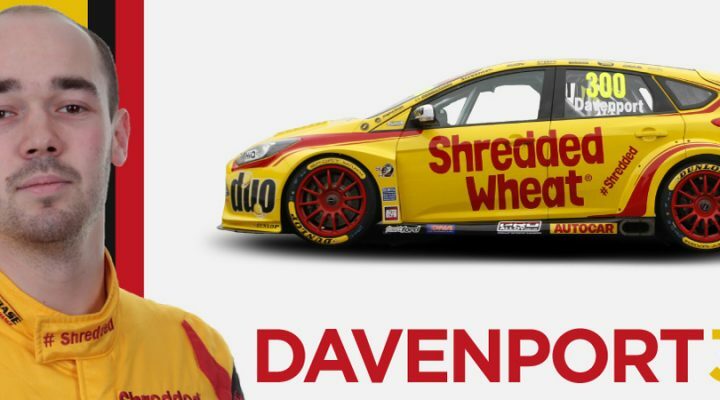 The Team Shredded Wheat Racing with Duo driver was injured in the multi-car crash during qualifying at Croft, in an incident which also saw both Aron Taylor-Smith and Jeff Smith hospitalised. Aron and Jeff have since left hospital, albeit with their own significant injuries to overcome, but it was Davenport’s condition that caused the greatest concern to doctors. Luke was placed into a medically induced coma at the James Cook Hospital in Middlesbrough after suffering multiple chest injuries, lung damage, a broken right leg, a broken pelvis, broken right arm, a broken collarbone and concussion. He was woken from his coma last week and remains in hospital, but has thankfully begun his physiotherapy and rehabilitation programme. “I have only started eating proper food in the last few days now they have taken all the intake tubes out,” he said in an interview with Tin Top Tuesday. “I have got straight back into the habit, and mentally that has given me a boost. “I still get tired quickly but I am just starting physio now. The physio had me sat off the end of the bed today, and that has all gone really well. “I can bend both knees and I feel good. I am just desperate to start cracking on with physio really. “The support has been unbelievable. I could be my phone all day to go through all the messages. It has been huge. I keep having soppy moments but I think that must just be the drugs I am on! “They are looking after me well in hospital has been amazing. The resources we have in touring cars is so strong when an accident like this happens. Davenport also gave special mention to the BTCC Medical Team and everyone who assisted with the accident at Croft earlier this month. “The people they had on hand to help us out was so impressive,” he added. Tin Top Tuesday will carry the full interview with Davenport in its episode released later today. It can be found at soundcloud.com/tintoptuesday.